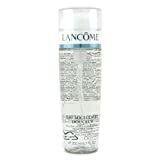 L’Oréal Paris Skin Perfection 3in1 Purifying Micellar Solution 200mlUsed by make-up artists, L’Oréal Paris Skin Perfection 3in1 Purifying Micellar Solution feels as gentle as water on your skin but acts like a make-up remover, toner and skin soother all in one. Purifies and soothes. aqua, Hexylene Glycol, Glycerin,Poloxamer 184, Dihydrocholeth-30, Polyaminopropyl Biguanide, Benzyl Salicylate, Propylene Glycol, Disodium Cocoamphodiacetate, Disodium EDTA, Rosa Gallica Extract, Parfum. aqua, hexylene glycol, glycerin,poloxamer 184, disodium cocoamphodiacetate, disodium EDTA, polyaminopropyl biguanide. Is it a dupe? Vote!